In today's world, careers such as law, health care, social work, and education have an international dimension due to the globalized world environment and the diverse U.S. population. Interpreters and translators convert information from one language into another language. Interpreters work in spoken or sign language; translators work in written language. Interpreters work in schools, hospitals, courtrooms, and conference centers. Some work for translation companies or individual organizations, and many translators also work from home. A good Interpreter could save a company one million dollars simply by removing Spanish false cognates from an important contract! common Spanish verbs. Their misfortune can be your good-fortune. Self-employed interpreters and translators frequently have variable work schedules. Most interpreters and translators work full time during regular business hours. The Department of Labor reported that employment of interpreters and translators is projected to grow 29 percent from 2017 to 2024, much faster than the average for all occupations. Employment growth will be driven by increasing globalization and by large increases in the number of non-English-speaking people in the United States. Job prospects should be best for those who have professional certification. There were 61,000 interpreters and translators employed in the United States in January 2014 earning a mean annual wage of $48,700. Job prospects for interpreters and translators vary by specialty and language. For example, interpreters and translators of Spanish should have good job opportunities because of expected increases in the Hispanic population in the United States. 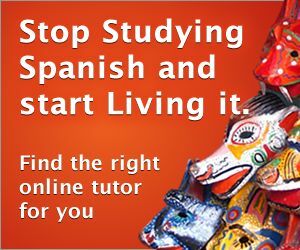 Your future job prospects will improve greatly simply by reviewing the Spanish reading comprehension passages offered for free on this website. Demand is expected to be strong for interpreters and translators specializing in healthcare and law because it is critical that information be fully understood among all parties in these areas. If one lacks the ability to pronounce Spanish diphthongs, they will have a limited future working in the fields of law and healthcare in the United States!